One of the most football popular markets to trade on is the correct score market. Below we take a look at how the market works, the advantages and disadvantages of trading it and some strategies for you to potentially use in your trading. What is the Correct Score Market? The correct score market is quite straightforward – it is a market in a which you predict what the score will be in a football match. The score is based on the result of the match in normal time (i.e. 90 minutes plus stoppage time) and does not include any extra time or penalties that may be played. These “any other” scores are any of those not listed, so basically any scoreline that includes four or more goals for one side. You then either back or lay the scores you want on the Betfair interface. Why Trade the Correct Score Market? It is worth considering why you should trade on the correct score market. Firstly, it is one of the most liquid markets on Betfair, with plenty of chances to trade out your position at any time and good value on your trades. Trading the market can also present an advantage over just betting on it, as you can follow a game live and see how it is going, moving around your position depending on how many goals are being scored. You can cover multiple scorelines and adjust your position as things develop, although we will go into different strategies in more detail later on. The correct score market also allows you to hedge your bets to a certain extent. If you think a team is going to win comfortably to nil, but aren’t sure what the exact score is going to be, you could back 2-0, 3-0 and Any Other Home for example, giving you a wide exposure. In the correct score market you can also cover the eventuality of both teams winning, if for example you think there will be lots of goals but aren’t sure who will actually win the game. Whilst there are a number of advantages to trading the Correct Score market, there are some things to watch out for. Firstly, you should be aware that there is a possibility of another goal being scored in quick succession after one has just been scored, before you have had a chance to close out your trade. This could leave you exposed to a loss in certain circumstances. It is rare this will happen but is worth bearing in mind. The other thing to beware of is the way that the Betfair correct score market is made up, with the “any other” options covering eventualities where at least one side scoring 4 goals. So you can’t back specific scorelines above four goals, like 4-0, 4-1 etc. Although there is a “correct score 2” market you could potentially use, we wouldn’t recommend this as liquidity is generally poor. We recommend the Betfair exchange for correct score trading as it is the most liquid and covers the greatest number of matches. Plus you can get up to £250 cashback on Sportsbook and Exchange bets as a new Betfair customer, with 25% of losses being refunded across your first 30 days, an offer well worth taking advantage of (T&Cs apply, 18+). Now we will take a look at two strategies for trading the correct score market, one in matches expected to be high scoring and one for matches expected to be low scoring. One way to trade the correct score markets is to take a spread of scores in a match where you think a certain eventuality is likely. So for example you may think it will be a high scoring, tight match. In this instance, you could take a range of scores, say 1-1, 2-1, 1-2, 2-2, 3-1 and 1-3. This is shown in the example below of this in the Community Shield game between Arsenal and Chelsea. Here we have backed a range of different scorelines, where we think there will be at least two goals. You can set this up to make approximately the same profit if any of your scorelines are hit by using Bet Angel software and choosing the dutching option. As you can see, with these scorelines having been backed, there is the possibility of winning around £10 if one of the scorelines is hit with a liability of £10. However, we are not going to do just place the bets and leave them, we are going to trade them. What we are going to do is wait to see how the match develops and then hopefully trade out when some goals are scored. If we get into the second half and it is 1-1 or 2-1 to either side, then we will be able to trade out for a nice profit without needing to worry about what the final score will be and whether it ends up with a score we haven’t backed such as 3-2. Now in this example, Chelsea scored early in the second half, which put us in a good position. All we needed was one more goal and we would be looking at a decent profit. We had to wait late on for a goal to be scored, but thankfully for us it was, with Arsenal equalising in the 82nd minute. That allowed us to trade out for a profit of at least £8.53, whatever happened. If you were concerned about leaving the trade this late in the game, then of course you could have traded out earlier and taken a loss of 20-30% of your liability. However, the way the game was developing we saw a good chance of there being another goal so stuck in there. The choice of whether to stay in or get out of a trade will depend on both your trading style and how a game is progressing. That is something that comes with experience. Now we will look at our second example, this time involving a low scoring match. Alternatively, you may think it will be a low-scoring game. Here we take a look at the match between Rosenborg and Celtic in the Champions League. It is expected to be a tight affair, with the match odds being close, with Celtic priced at 2.28 and Rosenborg at 3.45. The under 2.5 goals odds is just 1.86. So we think it will be low scoring, but aren’t sure who will win. So we take a range of scores between 1-0, 1-1 and 2-0 to each side. We use Bet Angel’s dutching tool to back all the scores so that we get the same amount of profit if any of them win. But you can also work this out manually if you do not have access to Bet Angel or similar trading software. Now we let the game go in-running and see what happens. The game is 0-0 at half time, meaning our prediction of it being low scoring is looking good. There will be a great opportunity to trade out for profit if there is a goal in the second half. Good news comes in the 69th minute as Celtic hit the back of the net. We can now trade out for profit – a good profit – whatever happens in the game. We just click the “cash out” button and Betfair does the rest for us. So we have made a minimum of £9.17 profit whatever happens from a maximum outlay of £10 – although if there had been an early goal, we could have closed out our trades to ensure that we didn’t lose the full £10. So here we have seen two examples of trading the correct score markets with a spread of scores in mind, allowing us to trade out during the game for profit without needing to worry about what the final score will be. Obviously not all games will go in our favour like this and in certain instances we will need to trade out for a loss. This is part of trading and it is important we do this and don’t lose our full stake, or worse risk more to try and chase losses. Looking for more Correct Score Trading Strategies? So there are a couple of correct score trading strategies to get you going. Goal Profits is an award-winning package of football trading strategies that combines a great deal of knowledge and experience on trading with a large community of followers. As a member you get access to 16 different trading strategies, in depth training on how to become a full-time trader, a chat forum where you can discuss trading ideas with other members and follow live experts as well as a “Team Stats” database that brings together a wealth of information and statistics on football which can be used as a basis for your trades. There is also ongoing support available to aid you in your trading development. The trading strategies include correct score methods but also have other approaches such as variants on lay the draw and HT strategies, so you are getting quite a wide range of styles. Ultimately if you are looking to take your football trading to the next level then there are few better places than Goal Profits. As an alternative to Goal Profits, there is Assured Soccer Profits, a trading system specifically for the correct score markets. If you join up then you will receive both PDF guides and training videos explaining how the strategy works and how you can profit it. This includes five videos introducing you to the system and explaining how to get started and over 20 videos demonstrating live examples of the system in practice. 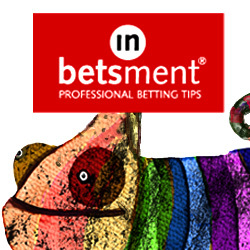 There is also e-mail support and ongoing ideas and analysis as the Betfair markets evolve and new ideas are formulated. The system behind Assured Soccer Profits is quite a unique one and they should be credited with developing something original in the football trading space. It does take some time to learn and practice to get right, but could be a strategy to bring in regular profits trading the correct score markets. The correct score market is one of the most liquid on Betfair and attracts a lot of interest from the trading community. This is perhaps because there are so many possible ways of trading the market as opposed to many of the other football markets which have just two or three possible outcomes. We have identified a couple of potential strategies for you above, which we hope will come in useful as an introduction to correct score trading. If you are looking for more in-depth approaches, then we have also earmarked a couple of options you may wish to try. Either way, good luck in your trading and please always gamble responsibly. I need sure correct score matches already analyzed.